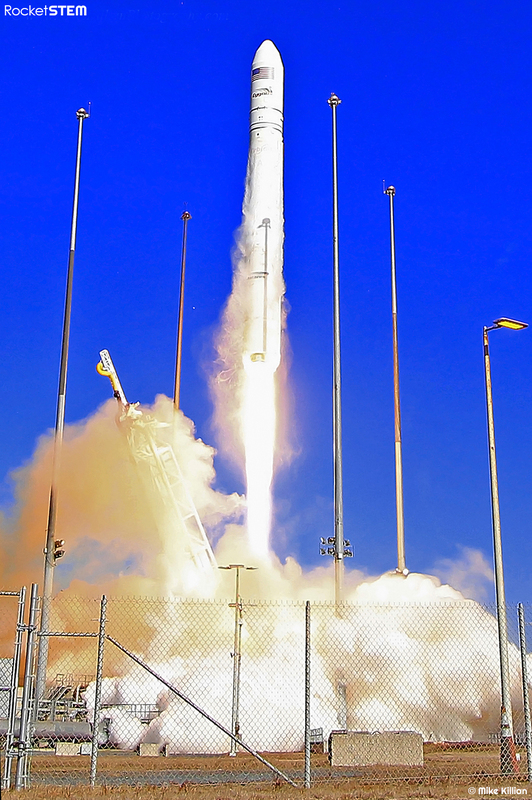 Orbital Sciences Corporation successfully launched their Cygnus spacecraft to the International Space Station on Jan. 9th. With freezing cold and clear blue skies as a backdrop the company sent Cygnus skyward atop their Antares rocket, which thundered away from the Mid-Atlantic Regional Spaceport launch Pad-0A at NASA’s Wallops Flight Facility in Virginia. The mission, Orb-1, marks the first of eight contracted resupply flights for Orbital under a $1.9 billion agreement with NASA. This article appeared in the January 2014 issue of RocketSTEM. Mike is an internationally published spaceflight and aerospace / aviation photojournalist who currently calls the Orlando, Florida area home. The California-native has always had a passion for spaceflight and photography, so naturally he combined the two upon moving to Florida in 2008. In the time since his work has been featured on ABC World News Tonight, National Geographic, NBC and CNN, and has been used by other organizations such as the U.S. Air Force, NASA, and GoPro. His assignments have brought him onboard NASA's space shuttles and front row to launches of spacecraft to worlds such as Mars and Jupiter, as well as on flights with the USAF and air show performers such as Rob Holland and the GEICO Skytypers.